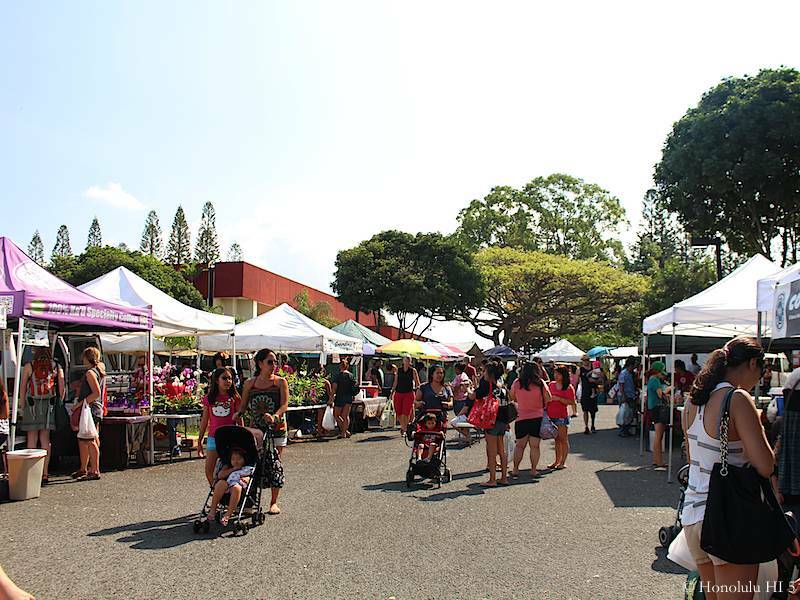 Every Sunday you’ll find this event at Mililani High School with free parking available in their lot. You’ll need to walk to the end of the parking lot and down the stairs to get to the site itself, so be aware. 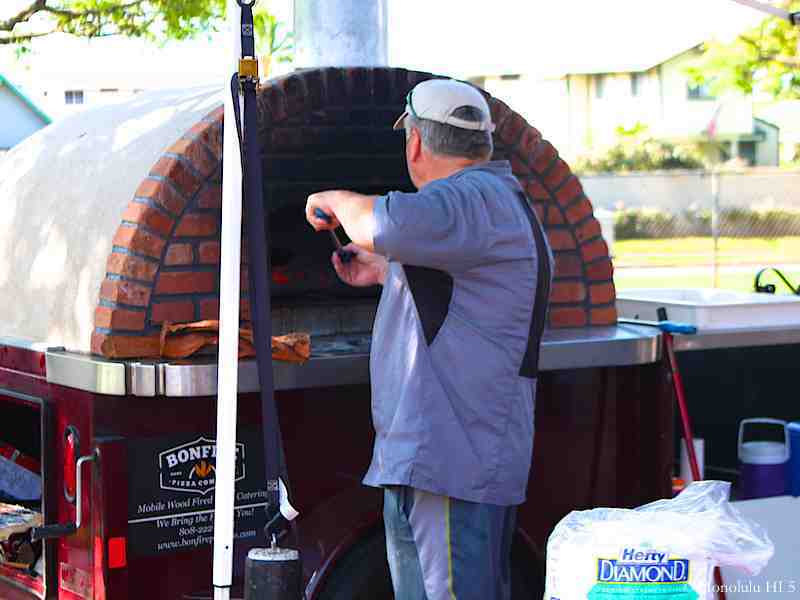 Mililani is another of the mid-sized market entries, with 15 to 20 vendors each week. This is very popular with the locals, especially as they don’t have the number of markets Metro Honolulu does, so they all come here. That can make parking hard at times, especially early. Everyone wants to get the pick of the produce before it’s gone. 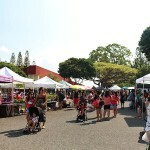 In fact, many who attend are struck by the fact that there are usually more produce & local products, like honey & coffee, than the ready-to-eat dishes at this market, which is not often the case in Hawaii. If your focus is greens & vegetables, come close to opening time and take advantage of the fact that some vendors will let you buy, then give you a ticket so you don’t have to carry it all around with you! Just pick it up on your way out. Be sure to ask if that’s possible, though. Don’t assume. 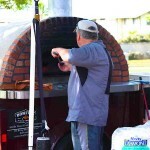 If you are in the mood for filling up, we recommend the Pizza guy here. Tasty and right out of the oven!